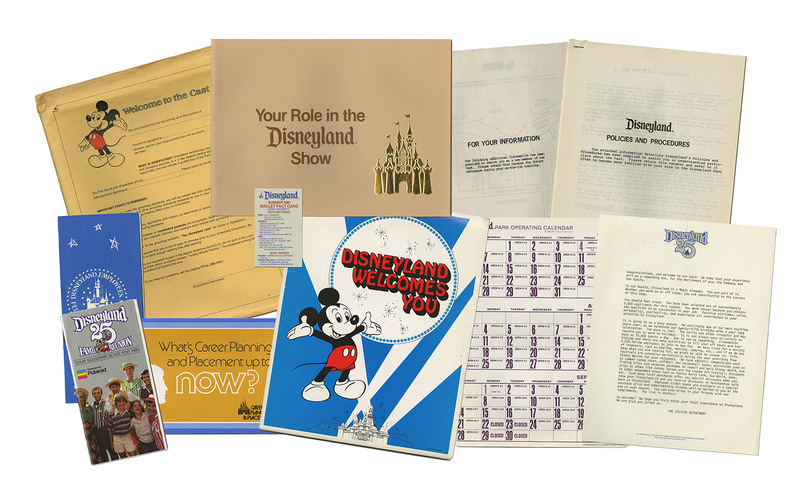 This is a full set of document that was distributed to employees as a new hire packet upon the beginning of employment. 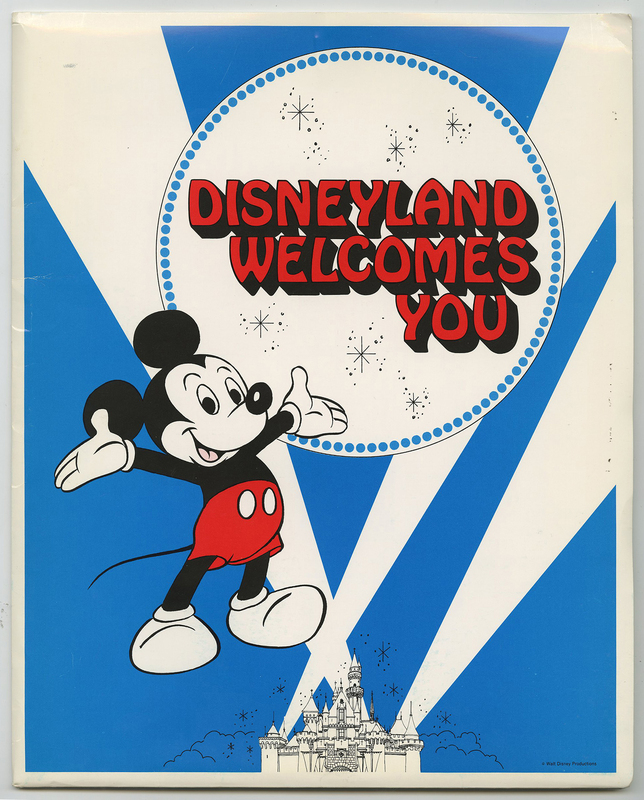 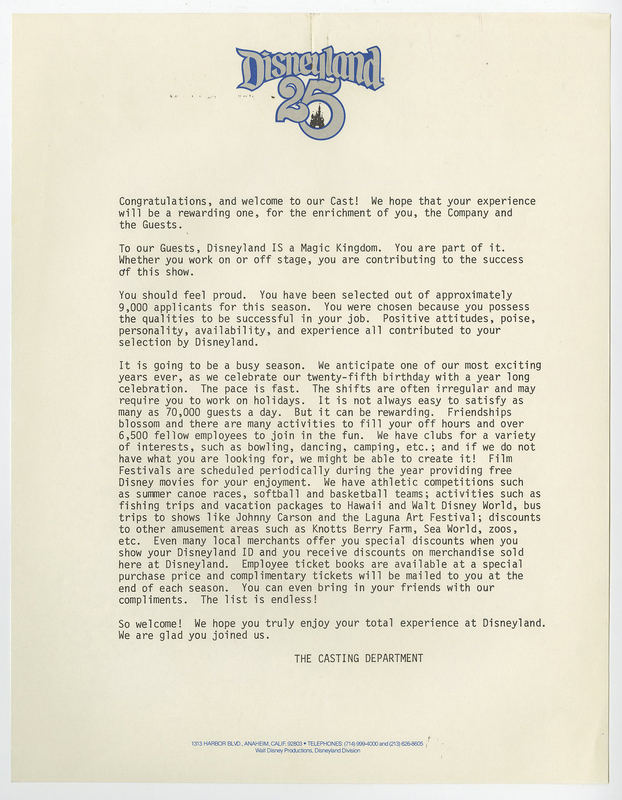 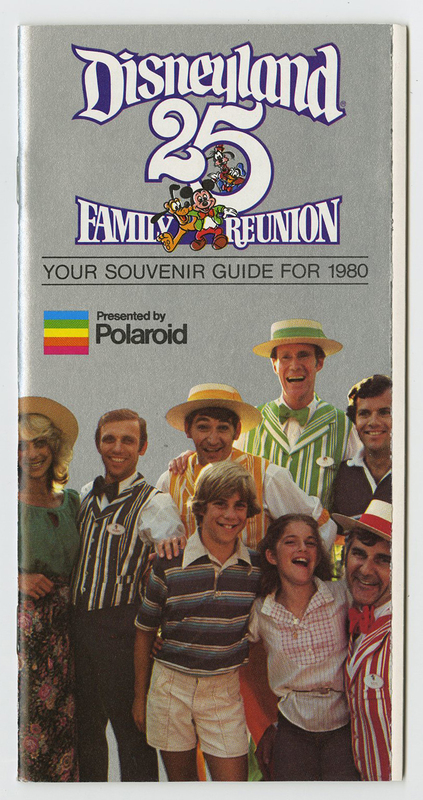 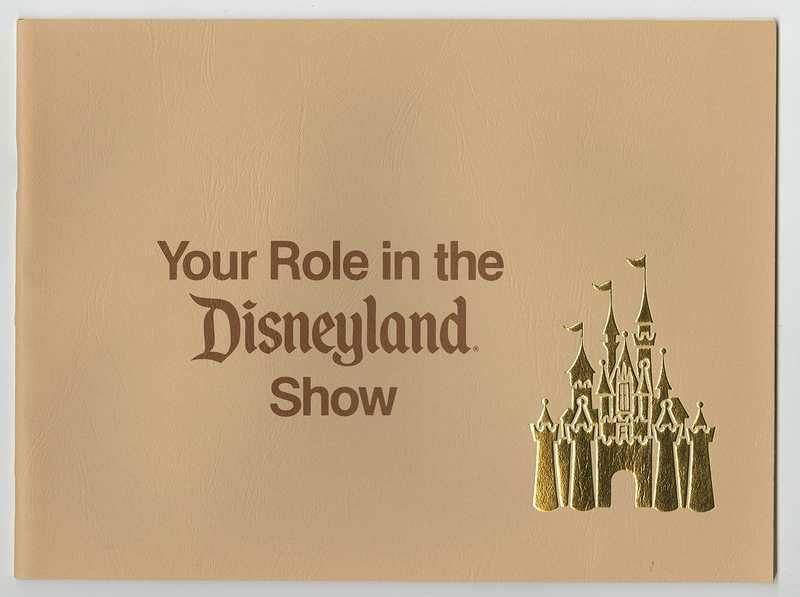 This particular package would be from 1980 and would have been for distribution to Disneyland park employees. 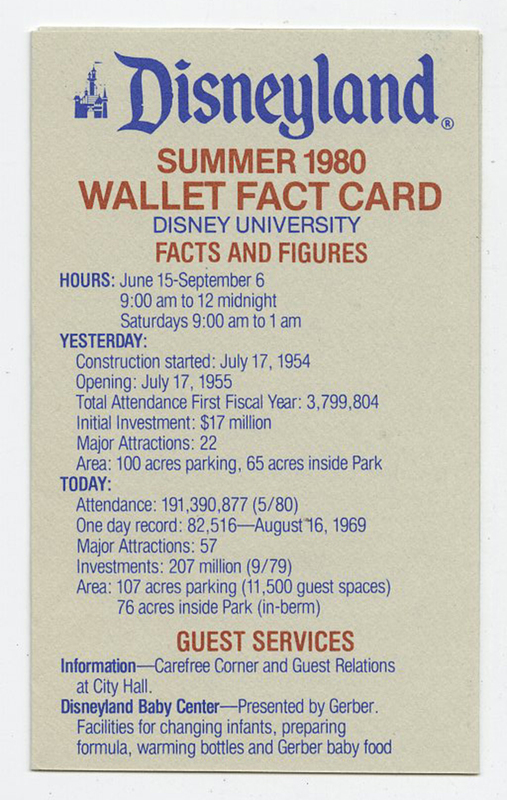 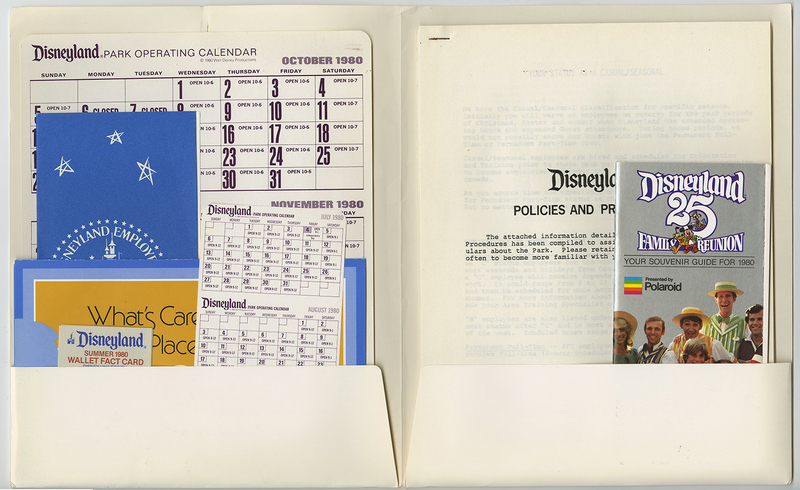 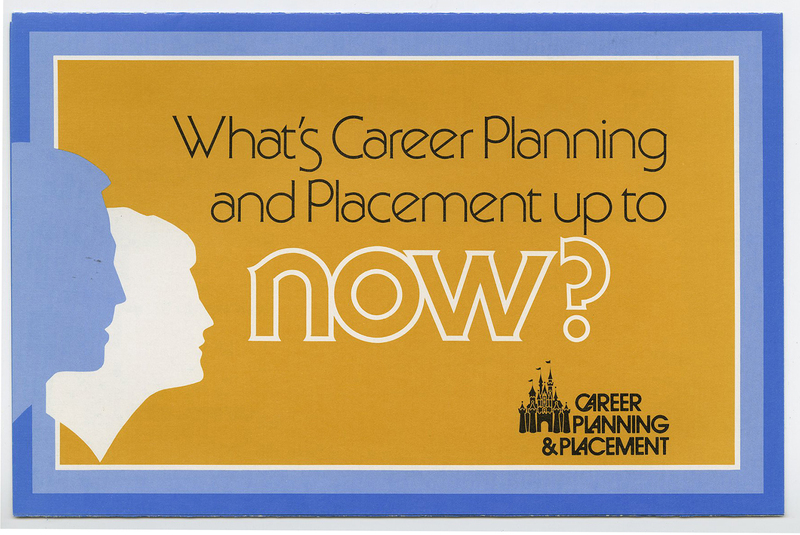 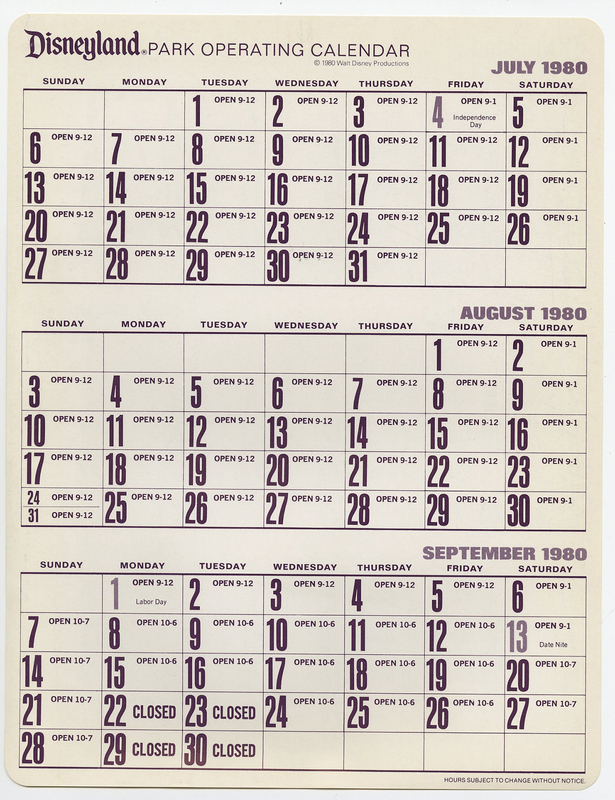 The set includes the 1980 park operating calendards, a wallet fact card, policies and procedure packets, a souvenir guide, credit union information, and more. 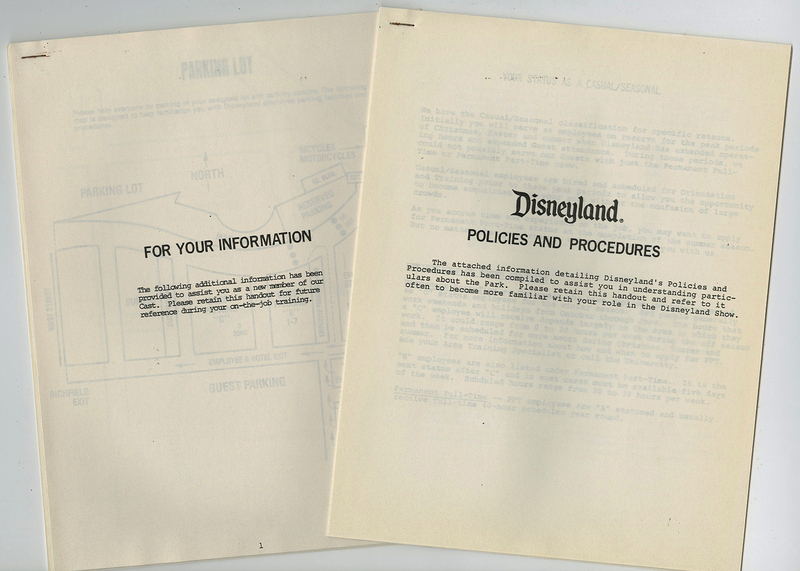 Usually parts of these become availalbe, but it is rare to see a fully intact set of paperwork and materials. 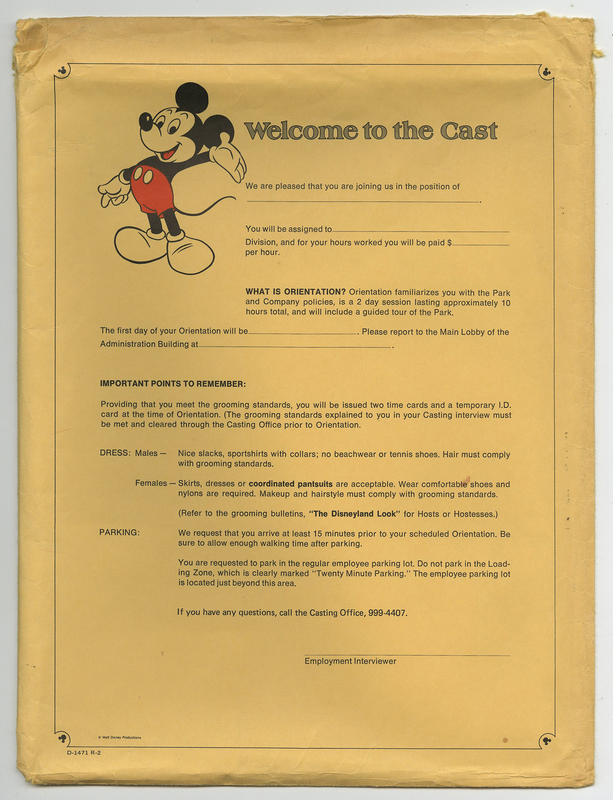 The packet measures about 12" x 9.5" for the outer envelope and is pretty thick with documentation. 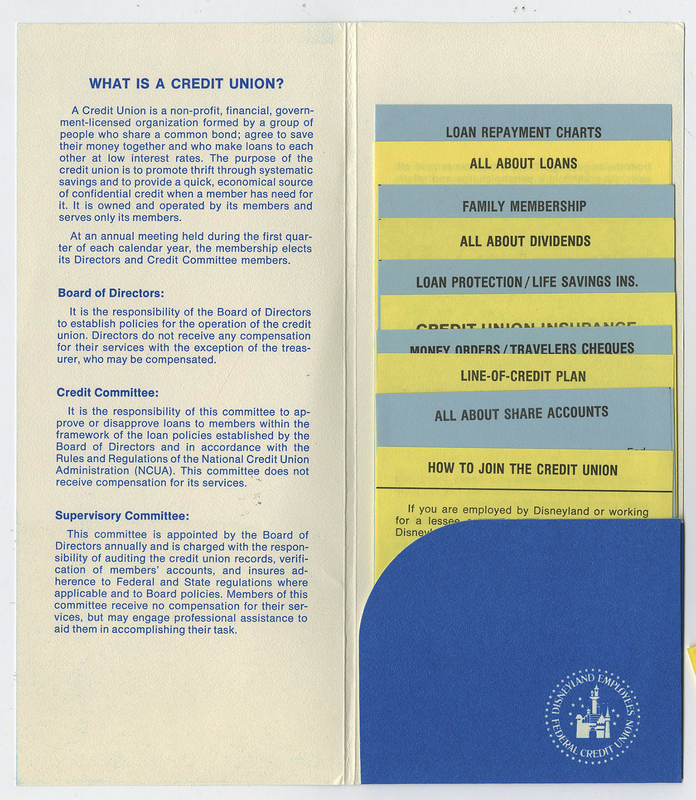 The materials inside vary in size but everything is in very good condition with a torn upper left corner to the outer envelope.